No matter if they have fur, scales, or a whole lotta fuzz, we are animal obsessed. Just like our featured couples, we firmly believe our pets are part of our families and therefore VIPs when it comes to wedding days. 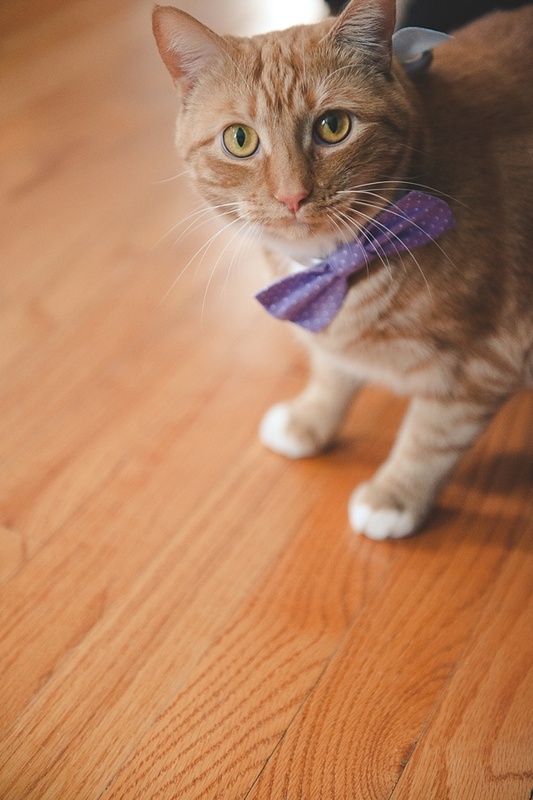 Some pets are more extroverted and bubble over with excitement that their humans are getting married and some are a bit more shy and would prefer to celebrate at home. Whatever your pet's personality, there's help available when the wedding day rolls around, and it comes in the form of Rover.com, the nation's largest online network of 5-star pet sitters and dog walkers. Did you know you can hire someone to come be a dog wrangler on the big day so your loved ones can be totally focused on celebrating with you? Yep, sure can! 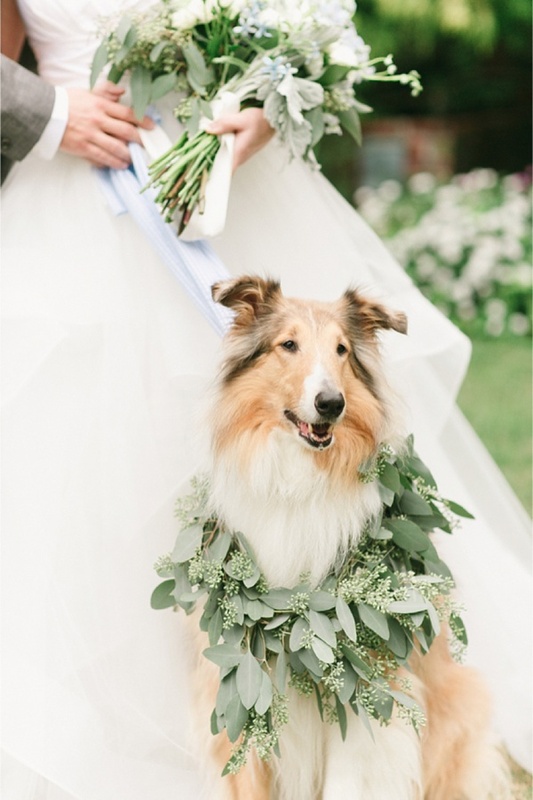 Your Rover.com pet sitter can make sure your pup gets the full star treatment from when your four-legged friend walks down the aisle to after the ceremony with lots of cuddles and treats for a job well done. Despite the canine name, Rover.com is not just for dogs, too! Cats are part of their furry community and get lots of attention by local sitters who make house calls while you're away getting hitched. Our editor-in-chief is a loyal Rover.com user herself with her three kitties. One of her furbabies, Anchovy Evans (Annie), has special needs, and she loves that her kitty sitter Jamie is experienced in taking that extra step to make sure Annie is well taken care of so Annie's crazy cat lady mom doesn't worry when she's on vacation. In what ways has your dog's presence in your life contributed to your outlook on love and life with your spouse, or soon-to-be spouse? 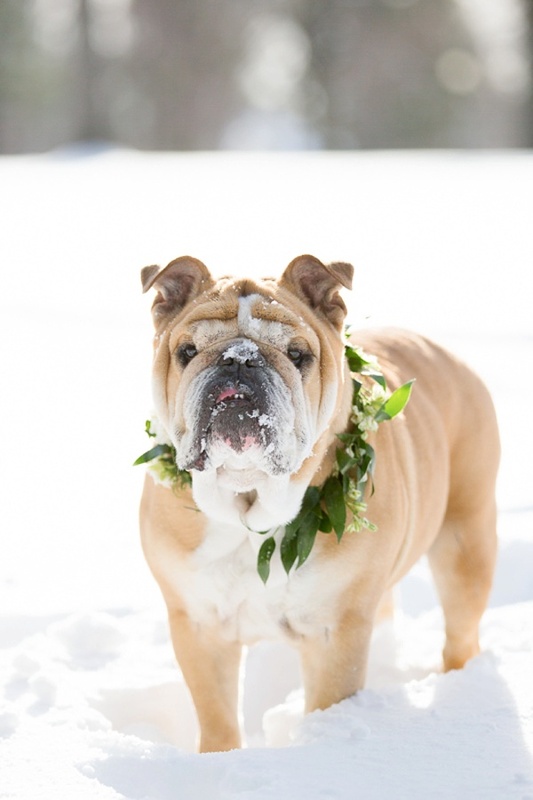 While you check out Rover's website for details and ponder your personal essay, we're sharing some inspirational ways you can involve your pets in your wedding because without them in our lives, our hearts would have a paw-shaped hole that only they can fill. 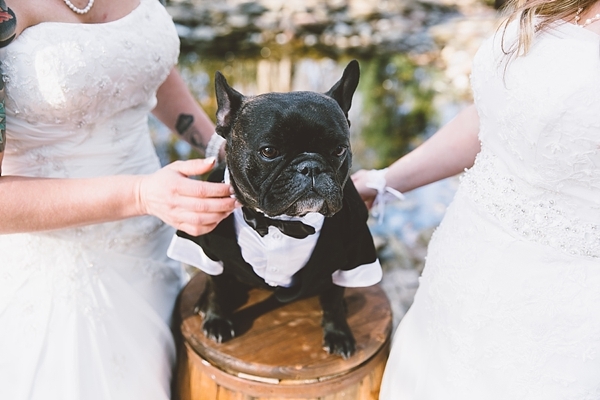 Dogs were practically meant to be your little ring bearer or flower girl; it's like going on a very stylish, fancy walk! Have your dog sitter (from Rover.com, of course!) 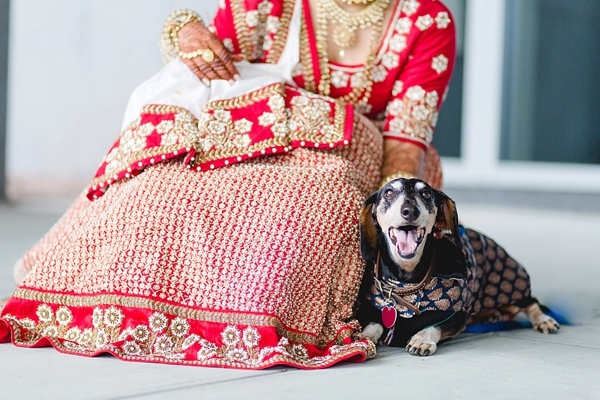 be your dog's buddy during the ceremony so your loved ones can be focused on watching you two exchange vows and your dog wrangler for post-ceremony portraits. Photography: Stephanie Yonce Photography | Bridal Gown: Blush Bridal | Florals: Holly Days Floral | See more of this sweet beagle lovers' wedding. For any of our furry friends who can't be with us on the day of, stitch on a sweet little animal charm on your florals' ribbons. Any professional florist would love to make this happen for you, so all you need to do is bring the charm of your choice to them, and they'll work their flower magic! Photography: Chelsea LaVere | Florals: Palette of Petals | See more of Bella's parents' Earth Day wedding on Poptastic Bride. Let's real talk. We don't know one single pet lover who doesn't get mushy all over the idea of dressing up your dog or cat, especially for a special event. (We're looking at you, coy "I guess I like dogs" humans!) Find a coordinating mini outfit that complements your wedding colors or theme. Some popular favorites are mini tuxedos, dresses, collar bow ties, flower collars, or even little fancy leash. Because at a wedding, it's all about the happy, so any little pet outfit will undeniably make everyone melt over the cuteness. Photography: Luke & Ashley Photography | Event Coordination: Simply Perfect Events | Henna Artist: Bhavna's Henna & Arts | See more of Gopal's humans' colorful Indian wedding. 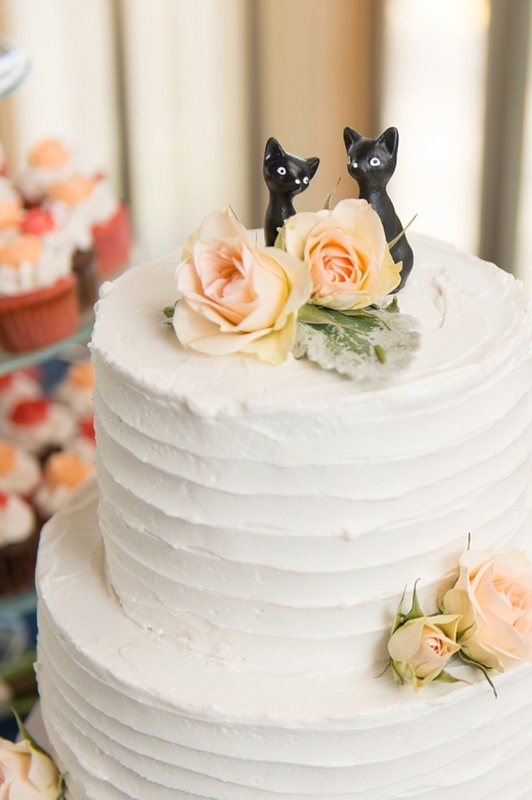 Nothing says your pet love like getting a wedding cake topper made in their image displayed for all the world to see. From molded clay minis, to elegant porcelain figurines, to acrylic silhouettes, possibilities are endless to help your dogs and cats get some sweet attention that matches your wedding theme. Photography: Sarah Street Photography | Event Coordination: Sunkissed Events | Florals: Leslie Hartig Floral Design | Cake: Make Life Sweet | See this military cat parents' wedding. 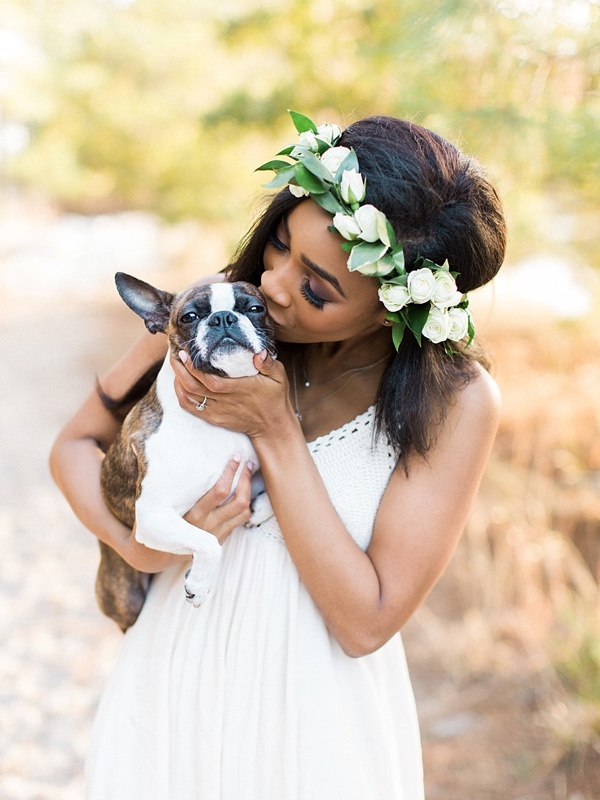 Maybe the wedding day is a bit too much for your pup, so if that's the case, include them in your engagement session portraits for a much quieter special time together. We still highly recommend having a Rover.com dog sitter because your photographer will want to get photos of just the two of you. And like human kiddos, your photog will want to make sure to capture the love of you both and not want you to get distracted by what your mischievous pet might be doing while you're on camera! Photography: Molly Lichten Photography | See more of Charlie's humans' beach engagement session. For connoisseurs of fun drinks, having custom signage made for your signature cocktails means creativity central and freedom to name your bar choices whatever you want. So why not in honor of your pets? It's guaranteed to get smiles from your guests. 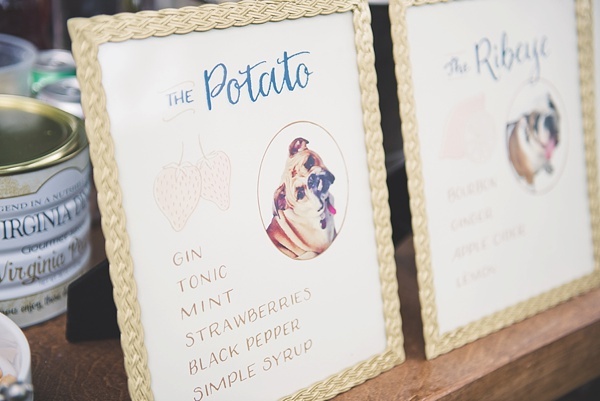 Photography: Chelsea LaVere | Event Coordination: Sunkissed Events | Signage: Maple and Belmont via Etsy | See more of Potato and Ribeye's parents' outdoor wedding on Aisle Perfect. Whether it's right before the ceremony or right after, taking portraits with your tiny loved ones is so important. 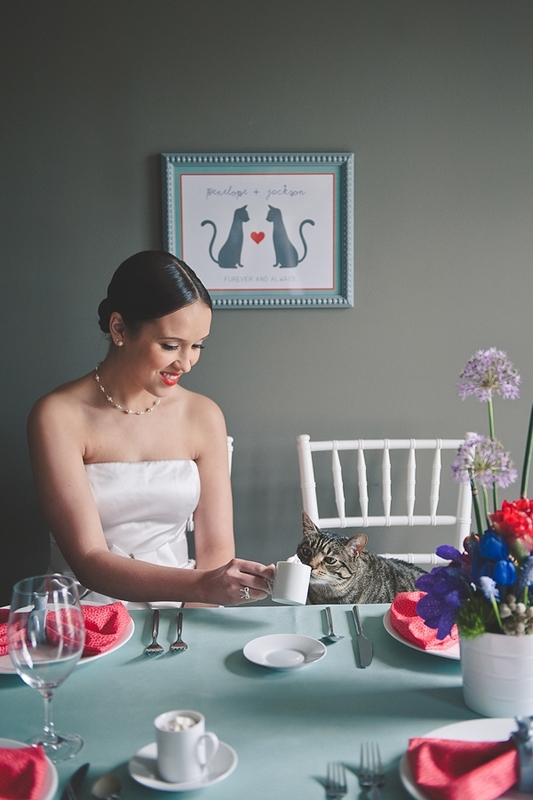 We all know animals are sensitive to what's going on around them, so by including them in these special moments helps them feel less forgotten amidst the human busyness of planning a wedding. And it'll create photos that you'll cherish for a lifetime! Photography: Jessica Ryan Photography | Bridal Gowns: David's Bridal | See more of Jack's moms' wedding ceremony. 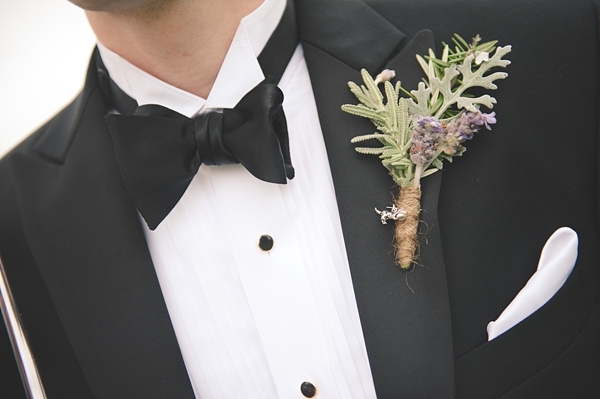 We are huge fans of subtle touches for a wedding day. The more subtle, the more you can do! 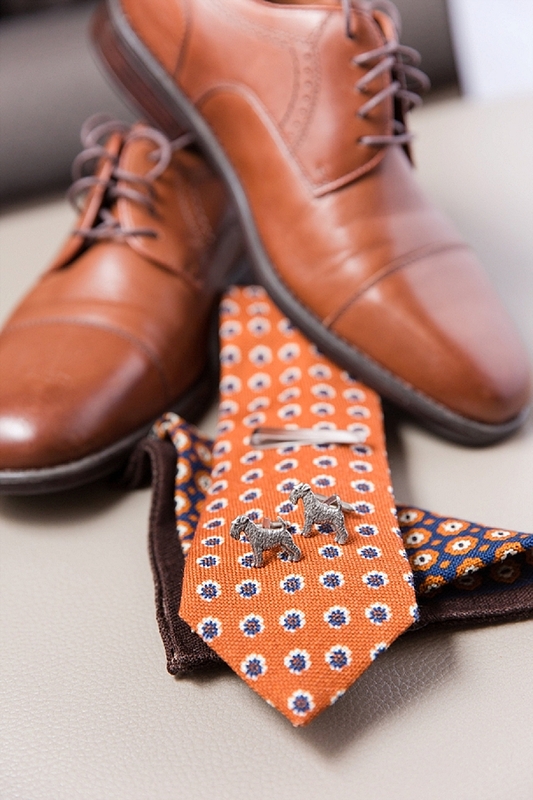 Consider gifting some paw print cuff links to wear on the big day or even a sweet pet wedding patch sewn underneath your gown or necktie as a special secret. Photography: Meredith Ryncarz Photography | See more of Geoffrey's parents' Williamsburg wedding. So however you choose to involve your furbaby, try to get some costs covered for the big day by entering Rover.com's wedding giveaway for $1,000 by October 31, 2017! And if you don't have a pup or kitty right now, help others out with their celebrations by becoming a sitter on Rover.com! You can sign up here and give all your love to future four-legged friends. Many thanks to Rover.com for partnering with Tidewater and Tulle for this fun pet lovin' feature! And while the disclaimer is that we were sponsored through compensation to write this, the words, personal experience, and our loyal love for the Rover.com brand are all our own. You can find our full disclosure policy here.